One of the best ways to ensure your Alfa Romeo stays in the best condition possible is to rely on genuine Alfa Romeo parts. Using genuine OEM parts takes second guessing out of the picture and helps you get it done right the first time. 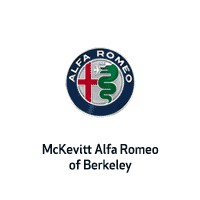 We always have a wide variety of wiper blades, brake replacements, oil filters, and more for sale at McKevitt Alfa Romeo of Berkeley, and if there is a special part you’re looking for, we’re always happy to order it for you. Check out our auto parts for sale online and feel free to contact us with any questions you may have. We’re here for you!